YouTube is a great invention which brings a whole universe of videos to our fingertips, and it is easily one of the most-engaging internet sites out there. However, the idea of watching funny cat videos or a news show on the display of our vehicle’s infotainment system is an open invitation to accidents, which is why Google has refrained from bringing it to Android Auto. But that’s not stopping enterprising developers from bringing this dangerous feature to Android Auto. 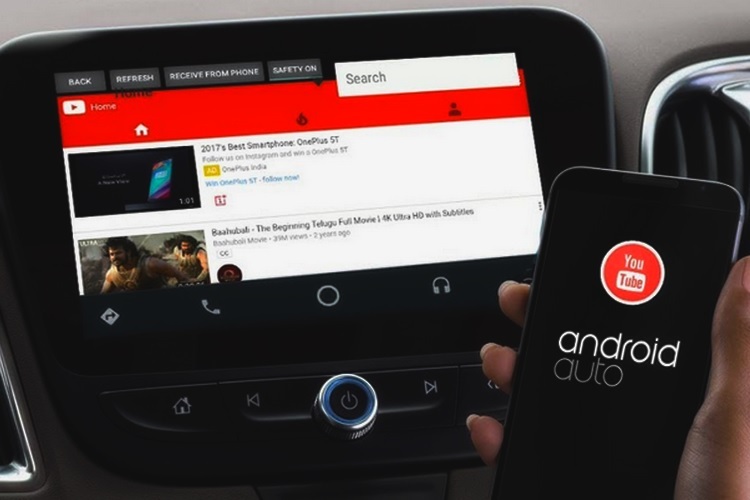 An independent developer has created an unofficial SDK which brings YouTube to Android Auto, but it comes with a word of caution. Kiran Kumar has created what is called the ‘Aauto SDK’, an unofficial SDK which allows users to watch YouTube and play videos through the Android Auto platform on their car’s dash-screen. However, in order to install the SDK, one must first put Android Auto in developer mode. 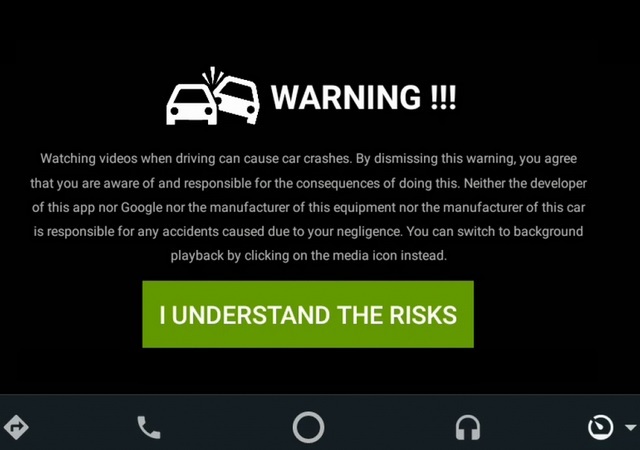 To his credit, he did not forget to issue an ominous warning detailing the hazards of watching YouTube videos while driving, and the app begins with the following message to warn users. The following video posted by Kumar details the complete process of installing the SDK and using it to play YouTube videos on a vehicle’s dash screen. Before you proceed to install the SDK and bring YouTube to your in-car infotainment display, we have a heartfelt request to make: Do NOT watch videos while driving! It can be a recipe for disaster.